Course Information 2 hours 30 minutes by car from central Tokyo. Adjoining, Horai Country Club. This is really a great creation of Robert von Hagge. It features flat and undulated fairways, rough just like wastelandsand and glass bunkers surrounding elevated greens. This course is evaluated as one of the most beautiful golf courses in Japan by many players. 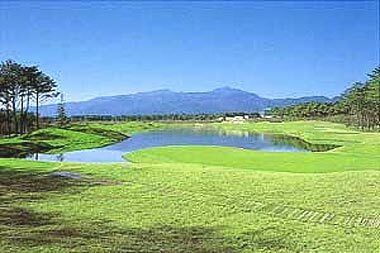 The same as Horai, this course is ranked in Japan's top 10 golf courses every year by Golf Classic Magazine and others. We strongly recommend you to play at both Horai and Nishinasuno while overnight at Shiobara Onsen that is one of the most popular hot spring resorts in Japan. *Western style hotels are available at Shiobara Onsen and Nikko.